After a pretty hectic week I'll be heading down the golf club on Friday tonight and pointing the remote at 7 – BBC ALBA. That doesn't normally sit well with the regulars who aren't interested in such offerings as Piping Live or An Lot (The Croft). 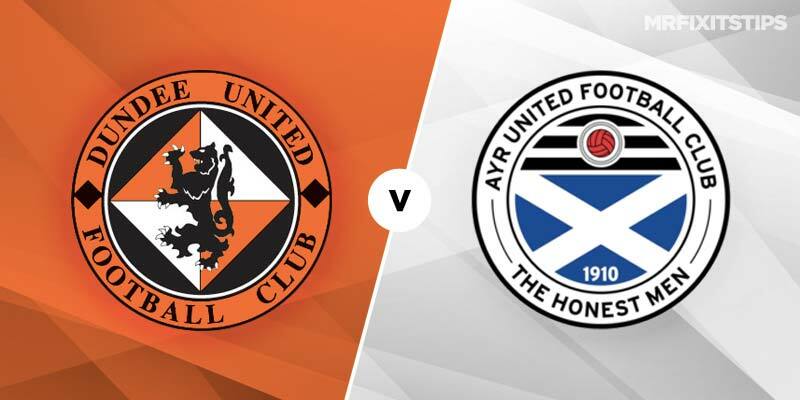 But I'll be telling them to pipe down because on Friday there is live football from the Championship – and it's a potential cracker as Dundee United welcome Ayr to Tannadice. Not Cappielow as the BBC Alba listings state. And if I get there early I might catch the closing ditties from the Hatton Quartet – they are performing at the 2016 Trads. So it could be a fun night if the two Uniteds bring their form and goalscoring prowess to the table. It's first v third and while Ayr, promoted last season, are surprise leaders their hosts are heading back to where they belong. The Csaba Laszlo experiment failed miserbably and Robbie Neilson has arrived in time to save their season. Neilson flopped at MK Dons but did well at Hearts and he is back in his comfort zone. He remains unbeaten in charge of United and he carrot of joining Ayr on the 30-point mark is massive. I fancy United at 21-20 with 888sport but best bet could be to go for goals. Ayr are 11-5 with the draw 5-2. The home men are aiming for five wins in a row and have won the recent meetings at Tannadice with over 2.5 goals scored. United and over 2.5 match goals pays 12-5. Up top it could be a shootout between Tangerines hitman Pavol Safranko and Ayr's Lawrence Shankland. Slovakian Safranko is beginning to motor and has four goals in six games. He is 5-1 to score first and 6-4 to net at any time. Shankland's having the season of his life and Ayr will struggle to keep him in January and his departure is likely to end their promotion hopes. He has banged in 22 this season although just three in his last six games. The former Aberdeen man is 10-3 to score first and evens to net at any time. Those prices aren't 888sport's but I'm sure they won't mind me quoting as they're unlikely to put up this market. So it's United v United, Safranko v Shankland – let's hope it's more exciting than your average ceilidh. split loyalties on this one..home town team travel to put their toe to the line against the team that ive backed at e/w 5/1 to lift the pot..don,t normally watch games as i prefer to train or compete but i will be tuned into this tonight on Alba…no alcohol tho….ive got an early morning sesh planned for tomorrow…..
That’s not the first time either Dundee Utd have shipped five goals at home. The last home default was to Ross county 5-1. It was a crazy result when you consider how much improved Dundee United were under Neilson. That 5-1 defeat by County cost Laszlo his job. Shankland was on fire tonight and I can’t see how Ayr can keep him beyond January.